WCCN FM/AM and WPKG - are family-owned radio stations serving Central Wisconsin. Our studios are located in the building that represented the State of Wisconsin at the 1964-1965 New York World's Fair, known as the Wisconsin Pavilion. 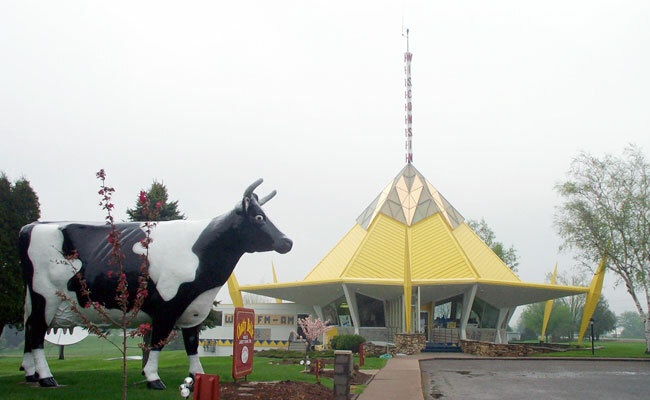 The Wisconsin Pavilion is owned, operated and maintained by the same family that owns WCCN FM/AM. Click here and visit Bill Young's Website for more on The New York Worlds Fair. You may also see some of Bill Young's exhibit's of memorabilia from the New York Worlds Fair on display in the Wisconsin Pavilion.